Human vision is incredible - most of us are capable of seeing around 1 million colours, and yet we still don't really know if all of us perceive these colours in the same way. But there's actually evidence that, until modern times, humans didn't actually see the colour blue. As Kevin Loria reported for Business Insider back in 2015, the evidence dates all the way back to the 1800s. That's when scholar William Gladstone - who later went on to be the Prime Minister of Great Britain - noticed that, in the Odyssey, Homer describes the ocean as "wine-dark" and other strange hues, but he never uses the word 'blue'. A few years later, a philologist (someone who studies language and words) called Lazarus Geiger decided to follow up on this observation, and analysed ancient Icelandic, Hindu, Chinese, Arabic, and Hebrew texts to see if they used the colour. He found no mention of the word blue. When you think about it, it's not that crazy. Other than the sky, there isn't really much in nature that is inherently a vibrant blue. In fact, the first society to have a word for the colour blue was the Egyptians, the only culture that could produce blue dyes. From then, it seems that awareness of the colour spread throughout the modern world. But just because there was no word for blue, does that mean our ancestors couldn't see it? There have been various studies conducted to try to work this out, but one of the most compelling was published in 2006 by Jules Davidoff, a psychologist from Goldsmiths University of London. Davidoff and his team worked with the Himba tribe from Namibia. In their language, there is no word for blue and no real distinction between green and blue. To test whether that meant they couldn't actually see blue, he showed members of the tribe a circle with 11 green squares and one obviously blue square. Well, obvious to us, at least, as you can see below. But the Himba tribe struggled to tell Davidoff which of the squares was a different colour to the others. Those who did hazard a guess at which square was different took a long time to get the right answer, and there were a lot of mistakes. But, interestingly, the Himba have lots more words for green than we do. 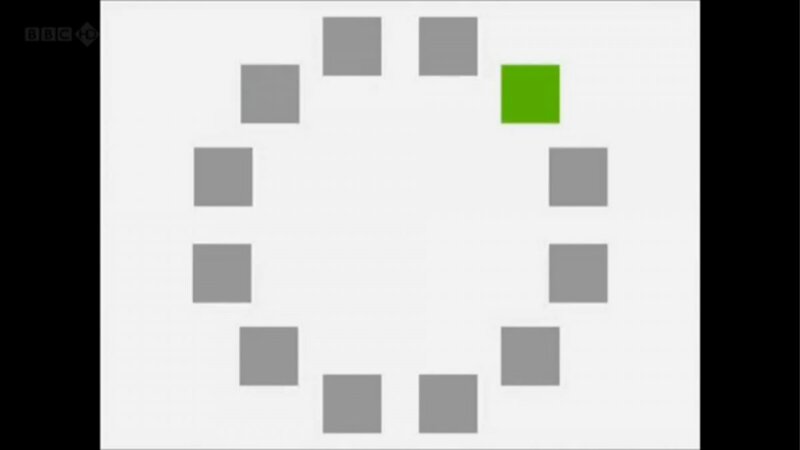 So to reverse the experiment, Davidoff showed English speakers this same circle experiment with 11 squares of one shade of green, and then one odd square of a different shade. As you can see below, it's pretty tough for us to distinguish which square is different. In fact, I really can't see any differences at all. Another study by MIT scientists in 2007 showed that native Russian speakers, who don't have one single word for blue, but instead have a word for light blue (goluboy) and dark blue (siniy), can discriminate between light and dark shades of blue much faster than English speakers. This all suggests that, until they had a word from it, it's likely that our ancestors didn't actually see blue. Or, more accurately, they probably saw it as we do now, but they never really noticed it. And that's pretty cool. Find out more about how language shapes our ability to detect colour in Loria's article over at Business Insider, and in this fascinating RadioLab episode, which inspired Loria's feature. A version of this story was first published in March 2015.